Today is officially ‘Nike Air Max Day’ so if you haven’t got yours on you better get home quick and change into them! 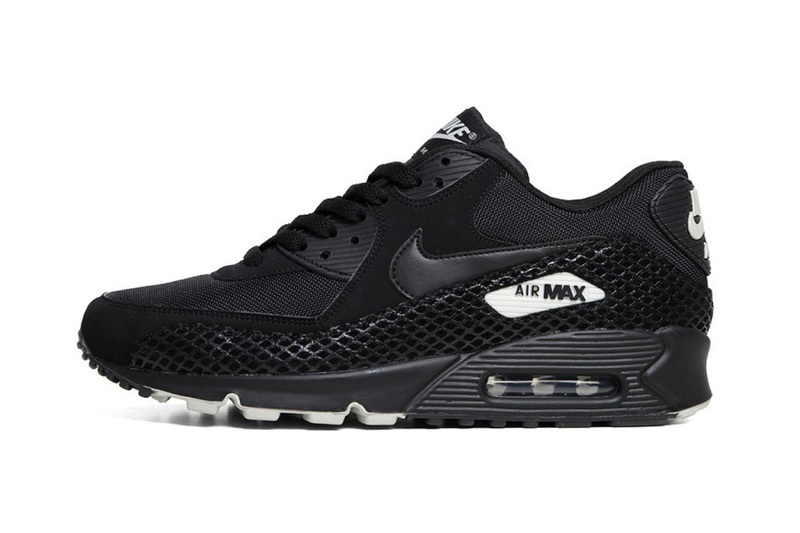 I will be dreaming of these classic Air Max 90 from the recent Premium Collection…. Recently I have developed a new found love for Skateboarding! Random and definitely something I should have been into circa 2002 age 14, but for some reason Skateboarding mesmerises me; I am totally baffled by that sort of one legged coordination! It maybe also has something to do with the fact that skateboarding is totally in vogue and has been for the past few seasons. Jayne Min of top blog STOP IT RIGHT NOW lead the revolution after deciding to experiment merging fashion and skateboarding. Min decided to apply the iconic Celine SS12 print to the underneath of a limited number of boards (See images) – the effect was amazing and several other designer collaborations followed including Alexander Wang, DVF and Tory Burch to name a few. As the trend has filtered down from the runway and onto the streets; Beanies, drop crotch jeans, vans, retro sports gear, amongst other items have become everyday pieces. The various shoots inspired by ‘boarding’ make me wish I was a cool Californian girl, skateboarding along the pier in the summer sun on my Celine skateboard – If I tried now, I’d look like an idiot but hey, at least I’d be a stylish one! 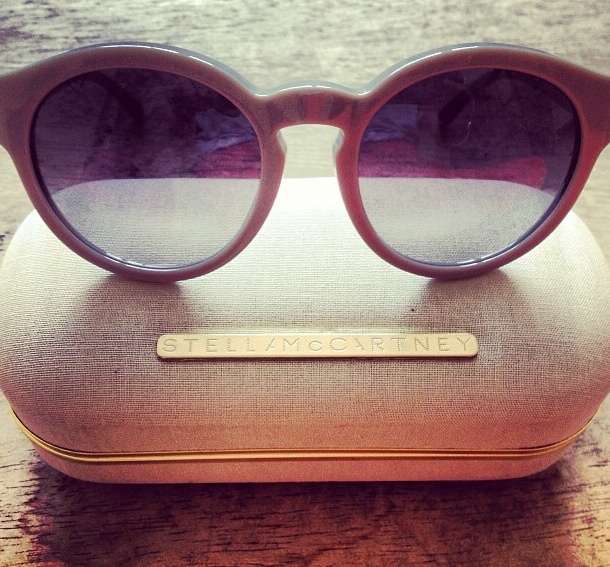 My new Stella McCartney Sunnies!!! 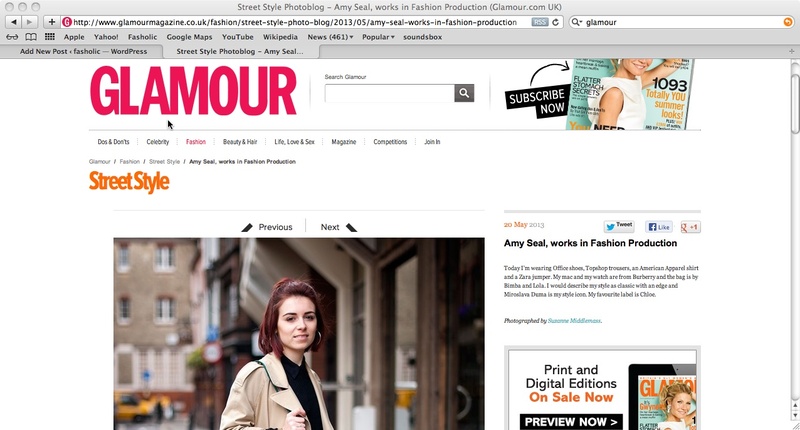 Spotted for Glamour Magazine’s weekly Street Style! 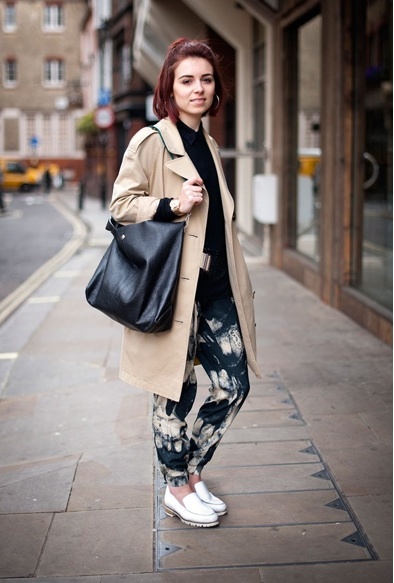 Wearing Topshop Trousers, Smerican Apparel Shirt, Zara Jumper, Office SHoes, Bimba and Lola Bag and Burberry Mac. Only wish I had smiled…..
Summer is finally here and what better way to celebrate than reaching for your SS13 prints!! Basso&Brooke are leaders in this field and this season their genius is expressed in the form of the baseball cap! From colourful florals to hand drawn sketching, these prints are on another level; never have I lusted after a cap….until now!! (LtoR): ‘New Floral’; ‘Ghost Garden’; ‘The Joy of The Rabbit’; ‘War and Peace’; ‘Kitsune’ and ‘Not Wool’ All By Basso&Brooke, available to buy here NOW! !